Push bikes have changed the way kids learn to ride bikes. By forgoing pedals and training wheels, kids learn first how to balance on two wheels. The next step up from a push bike is a single speed bike. Once your child has mastered their balance on a push bike, it's time to get them pedaling. These bikes are super simple and offer just a coaster brake, or coaster and rear pull brake on the 20" models. The 12" and 16" models come with training wheels, but we still recommend beginning with the push bike method. Once your child has gotten comfortable with balancing and pedaling their bike, we can get them on a bigger bike with changeable gears and hand brakes. Congratulations! 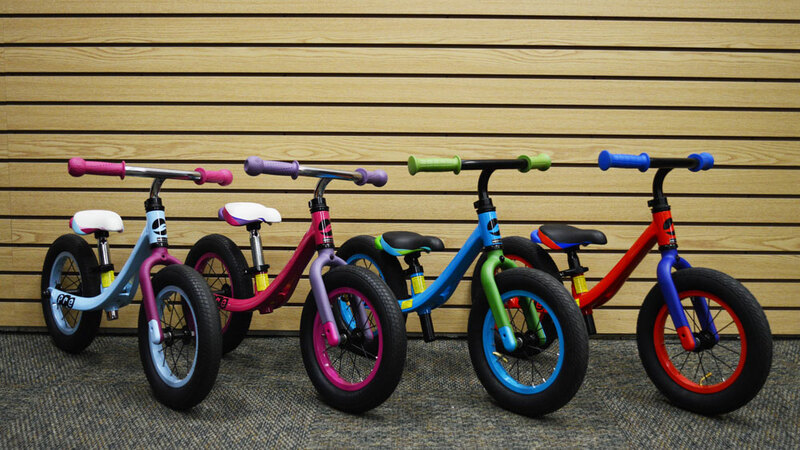 Your child is ready for a big kid's bike! 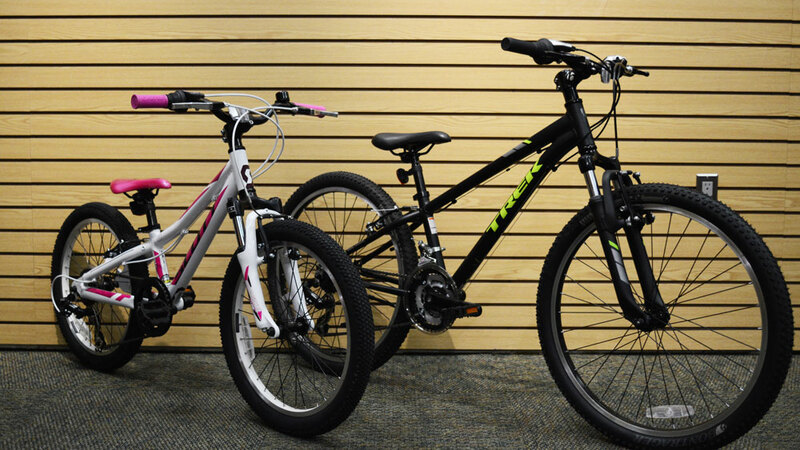 We also carry some hybrids in this size range, but we typically recommend mountain bikes for kids because they are generally a bit sturdier than hybrids. 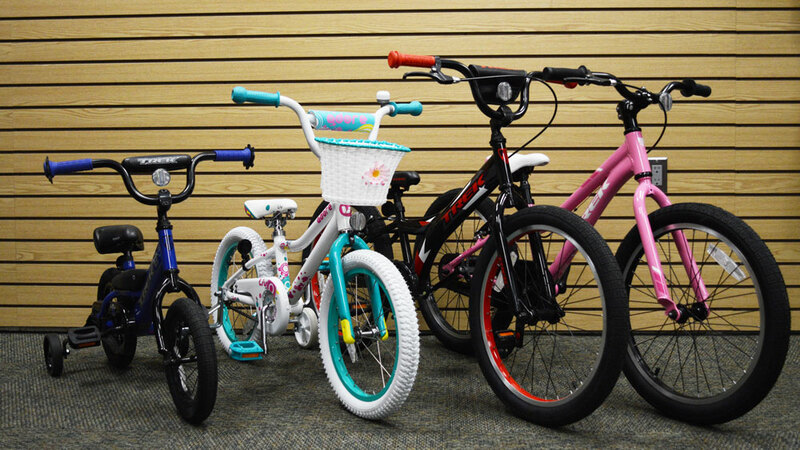 In addition to the normal progression of kid's bikes, Earl's also offers a variety of BMX and Dirt Jump bikes if your kid has a tendency to jump off every curb they see and build jumps in the backyard. These bikes are perfect for kids and adults alike to ride the bike park at Maple Street Park in Essex Junction, or any of the skateparks nearby.